One in every 13 Filipinas is at risk of getting breast cancer it in her lifetime. With this data, Philippines tops the list in Asia for breast cancer incidences. Alarming isn't it? In time for the Breast Awareness Month, Now is the time to be more informed and educated about Breast Cancer. 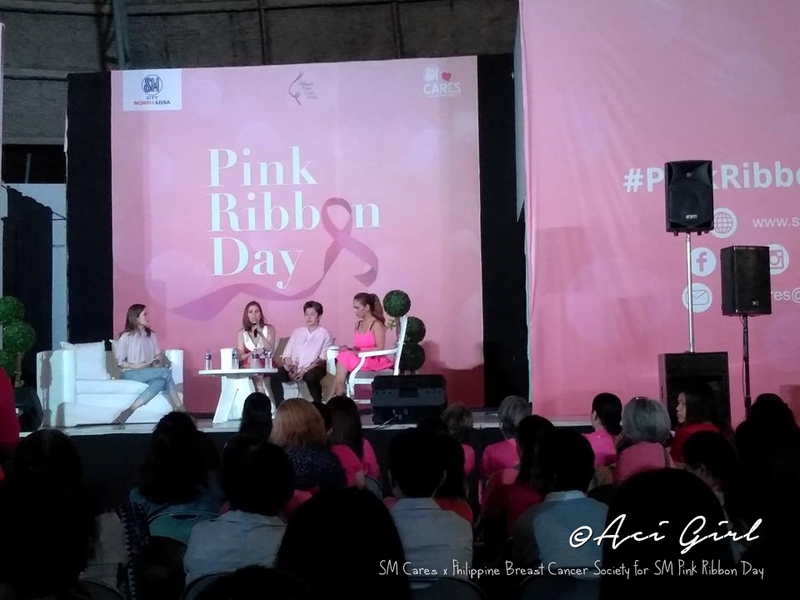 This is why SM Cares, the Corporate Social Responsibility arm of SM Prime Holdings, is persistent in spreading awareness of breast cancer through Pink Ribbon Day. October is Breast Cancer Awareness Month making The Pink Ribbon Day celebration this 2018 more significant. 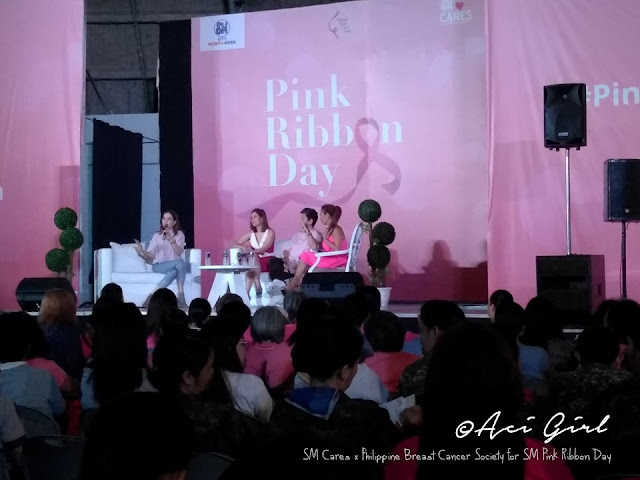 Organized by SM Cares in partnership with the Philippine Breast Cancer Society (PBCS) and SM City North EDSA. Having a total of 1000 attendees comprising of different women’s groups, doctors and advocates, the project aims to encourage women to have their breasts examined for early detection and early intervention. “Coming from the success of last year’s Pink Ribbon Day, this year’s celebration continues to promote awareness, early detection, and early intervention to help fight breast cancer among women. We at SM Cares make it our duty to reach out and empower Filipinas all over the country. Breast cancer is a fight that can be won with early detection, prayers, and support of family and friends,” said Berna Velasco, SM Cares Program on Women and Breastfeeding program director. This event was held at the Skydome of SM City North EDSA. Free clinical breast examinations also took place. 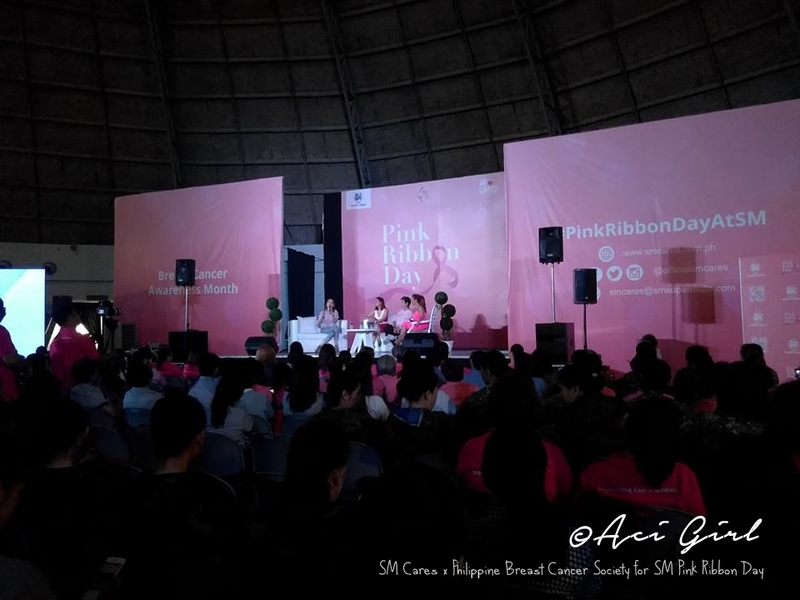 Pink Ribbon Day also featured a Zumba sesh led by Regine Tolentino, inspirational stories from celebrity breast cancer survivors and advocates Maritoni Fernandez, Alya Honasan, and Toni Abad, as well as talks conducted by the Philippine Breast Cancer Society on how to detect and protect women against the risk of breast cancer. 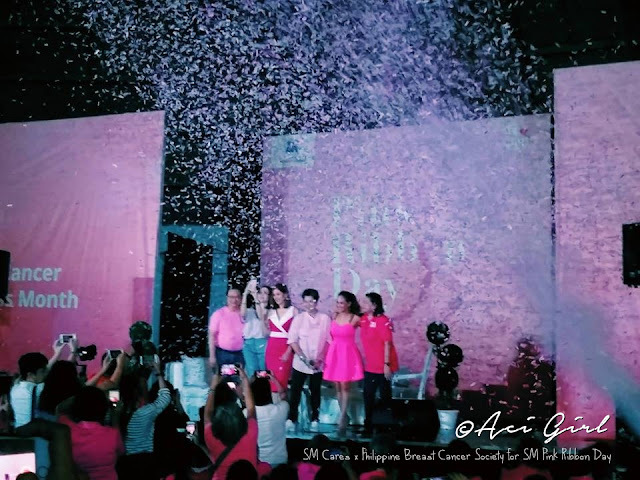 SM Cares makes it a point to help support women in communities where SM Supermalls are present. Breastfeeding stations across all SM Supermalls nationwide are provided as part of its program to allow mothers the convenience and freedom in nourishing their babies. Last August, Breastfeeding Pinays and DOH joined in the annual “Hakab Na!” simultaneous breastfeeding event at SMX, attended by over 6,000 mothers, children, family members, and advocacy supporters. 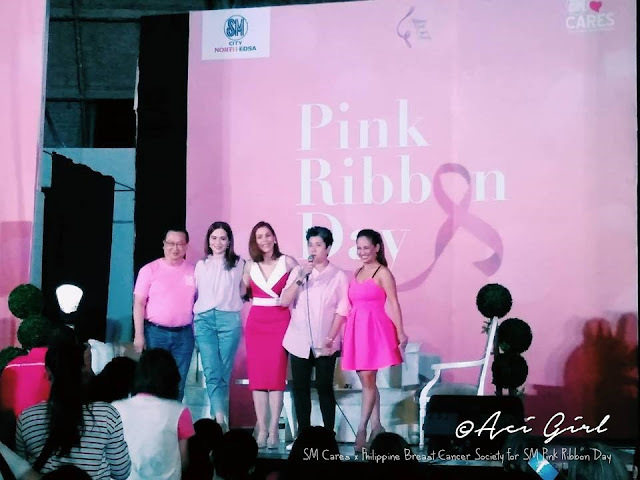 Through Pink Ribbon Day, SM Cares looks forward to serving women in the community by promoting regular breast examinations for early detection and a healthy lifestyle. Motherhood : The Reality and Beauty of it All.